The Veteran's Association in the town in which we live puts together the most amazing 4th of July Parade and Celebration each year. It is held the weekend before the 4th of July weekend. I was completely blown away the first time that we went. It lasted two hours! 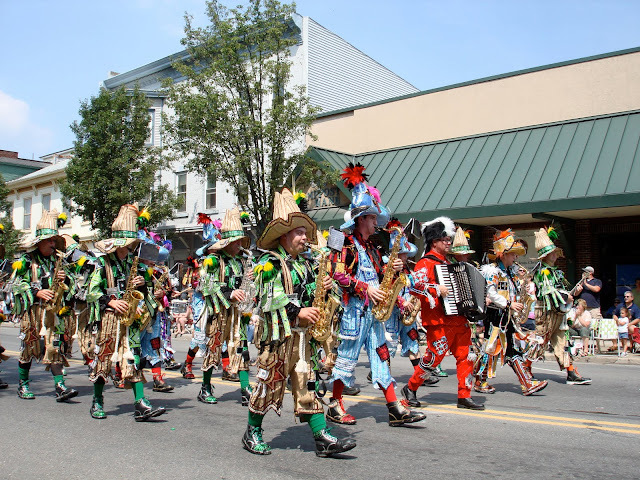 There are mummers, marching bands, horse-drawn carriages, steam engines, and period costumes. I especially enjoy the procession of soldiers that normally begins the parade. They have one person dressed as a soldier from each war fought by the US (beginning with a Native American on horseback). The soldiers march single file down the center of the street. One of my favorite things about the parade are the WWII bomber fly-overs. They are loud and they fly low to give the crowd a thrill. I took the picture of the fly-over above at the parade last weekend. I really like how it turned out. This photo of my kids and our friend Lindsey watching the parade was in our local newspaper last week. I didn't know about it until today at church. A 90+ year-old friend of ours had saved this for us. What a sweet lady and good friend. Always so considerate and thoughtful of others. Here are a few other cute shots that I took. As you know, it's been a heck of a week around here. I have dealt with personal losses, a flooded basement, a flat-tire, a car that wouldn't start, and emotions that wouldn't tame themselves. As I have struggled with "The Nothing", I have thought a lot about what it means to be free and where real freedom originates. I am ever thankful to the people who have fought to win and preserve our freedoms here in mortality. But I am reminded most poignantly this Fourth of July of The One who won my freedom in the Garden of Gethsemane so many years ago: He won my freedom from sin, my freedom from darkness, my freedom from pain and mental anguish. He has allowed me to experience just a touch of what that pain feels like this week. He has allowed me to experience just a fraction of the pain which he normally spares me from feeling. I tried to carry it on my own, but quickly learned that I cannot. I require His help to survive. I require his help to be free. Yesterday, as I fasted, I cried out to Him to take my sadness from me. He lifted the burden each time. And that help was like the unlocking of my personal prison. It was true freedom. True freedom is available to each of us in and through our Savior Jesus Christ. It is available to every person who has ever lived or who will ever live, in whatever country they may happen to live. It is available to me. It is available to you. Even now, I am in awe of why anyone would be willing to take that kind of pain upon themselves (times infinity!) but I know that he has. That is some amazing kind of love. I am thankful that I have been given this opportunity to understand the Atonement in a more personal way. I am thankful for the refining process that the Lord is guiding me through. I know that he knows and is doing what is best for me and what will help me to be happiest and the most free. I wish parades were still like that out here. Maybe I need to move out east...Great pictures. But mostly, thank you for those beautiful words about the Savior:) I've been thinking a lot lately about Brother Johnson's talk from last GC that you mentioned here. It's really hard to go through trials, but the payoff is more than worth it. I hate the pain, but I love learning more and more about Jesus through them. Your words sounded like mine and the many thoughts I have had lately regarding the savior. As I have gone through my own emotional, and Physical pains, I have thought about the savior suffering these same things But so much more and I can't even imagine How he could endure that. But I know that he did it for us and I am eternally grateful. MY favorite parts of the parade were the bomber...awesome....and the single file line of the soldiers from over the years. Great Job Lewisburg! What a beautiful post, Jocelyn. I especially liked the last line, and I will! (Be free, I mean.) Mindfully. Love this today! Especially the words about the savior. It was so beautiful. Hi, Linda and Richard Eyre here. You may know us from our parenting book bestsellers or the blogs of our daughters.....or perhaps you have seen our weekly columns in the Deseret News. But in any case, we know you. And we love your blog! 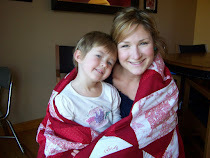 Of all the "mommy blogs" out there, it is surprising how few actually focus on mothering and parenting. Yours is one of them, and you do it so well! We have what we think is our best and most important parenting book ever coming out the first of September, and we would like to invite you to be part of our advisory board and help us craft (and disseminate) our message about the dangers of ENTITLEMENT! We feel that the entitlement attitudes of today's kids are the biggest problem of their generation (and the biggest concern of parents throughout the world)! The new book is called THE ENTITLEMENT TRAP: How to Rescue Your Child with a New Family System of Choosing, Earning, and Owning. It will be in stores in early September, but if enough people pre order it from Amazon.com and other on line outlets it could debut on the bestseller lists its first week, and that would cause thousands of other parents to be aware of it and to have access to a message we think parents desperately need. So here's the deal: If you are willing to work with and advise us on our board, we can send you a large pre publication sample of the book so that you can make your readers aware of it and give them a chance to order it at a pre-pub discount of more than 33%. And then we would want your ongoing input for the website www.EntitlementTrap.com which is now in its lead-up phase to the book, but which will continue to supply additional info and helps to moms long after the book is out. It will, of course, link to the blogs of all members of our board. Take a look at that site and get a bit more idea of the nature of the book, and let us know as soon as possible if you will be an adviser. We will then send you the extensive excerpts so that you can blog about the book and about the movement prior to the book's release. PS There will also be webinars and other exciting opportunities for those who pre order the book, and of course for you and other board members. Thanks for your testimony, Jocelyn! As always, just thanks!